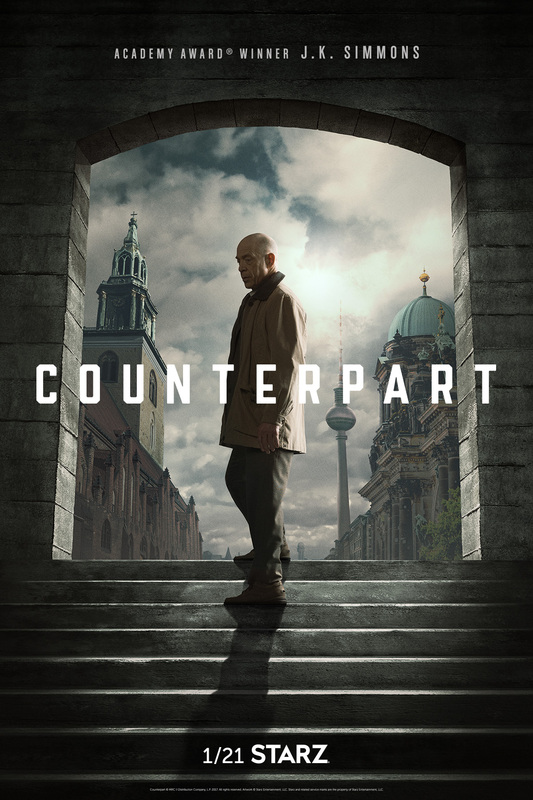 Starz has released a series overview video for upcoming thriller Counterpart, as well as key art featuring series star J.K. Simmons. 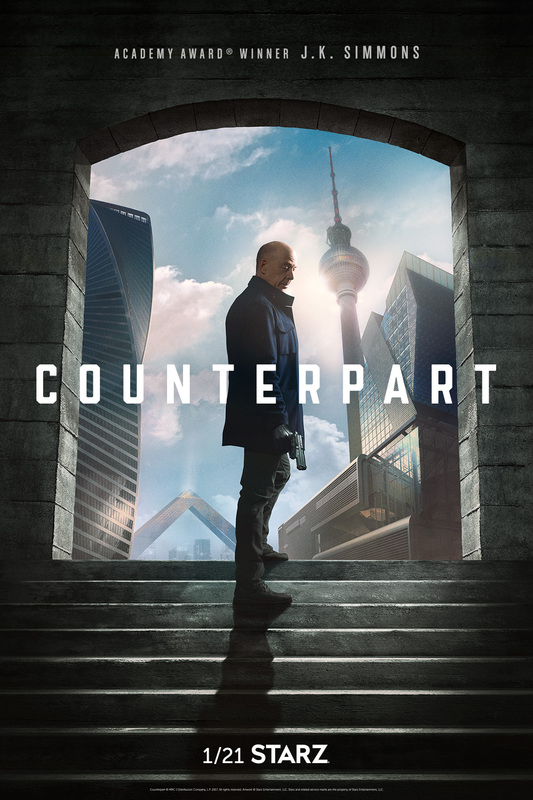 Starz has released the key art for upcoming thriller Counterpart, as well as a new behind the scenes featurette looking at all the chaos to come. In addition to Simmons, Counterpart stars Olivia Williams (The Sixth Sense), Nazanin Boniadi (Homeland), Harry Lloyd (Manhattan), Nicholas Pinnock (Marcella), and Ulrich Thomson (Banshee). The series is one of several new series slated to premiere in the coming year for Starz, joining the likes of restaurant drama Sweetbitter and family drama Vida. The series premiere of Counterpart is set to air Sunday, January 21st on Starz. The episode will be given an early sneak peek Sunday, December 10th at 9:00, where it will follow the Outlander season finale. Presumably, the two Girlfriend Experience episodes that were slated to air at 9:00 will be pushed back to 10:00 for one night only.